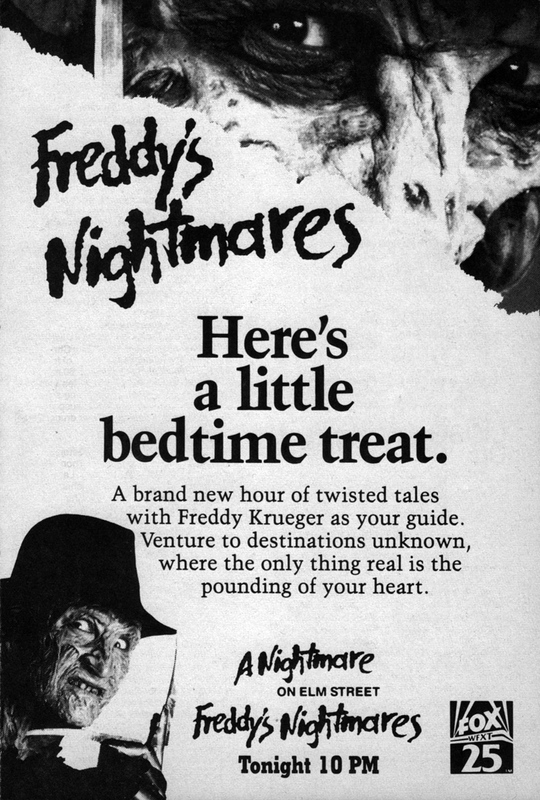 Freddy’s Nightmares aired for two seasons on television from October 1988 to March 1990. 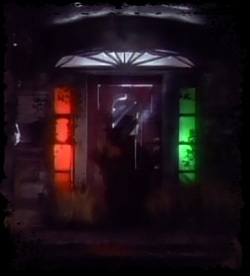 This anthology-styled series was presented in a format similar to popular science fiction series The Twilight Zone, with Freddy Krueger hosting each episode. 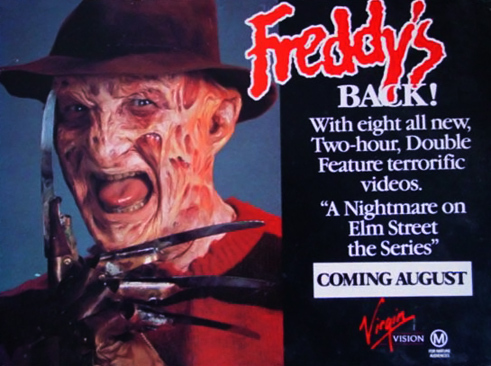 44 total episodes were produced and most of their plots do not feature Freddy but establish Springwood as a town of scandal, murder, and the supernatural. 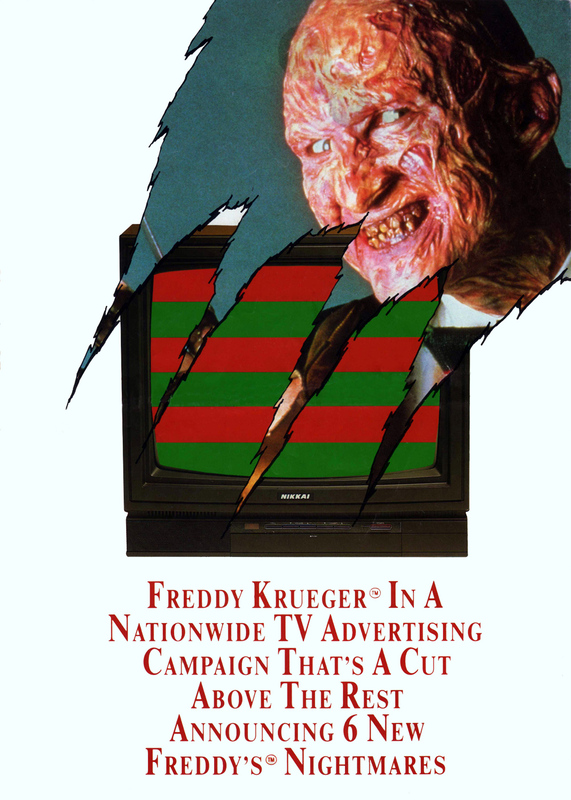 Robert Englund cited budget cuts and early, badly chosen time slots as the reason the for series’ cancellation. 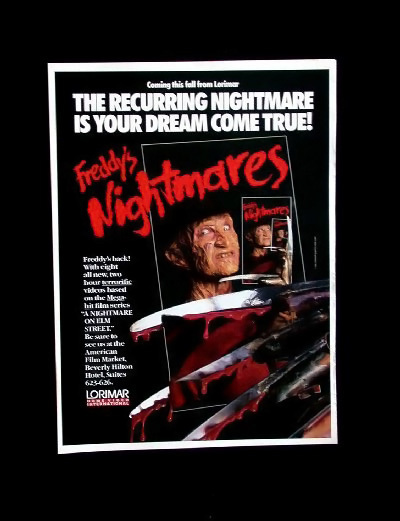 Warner Bros. released select episodes of Freddy’s Nightmares on home video over the years. 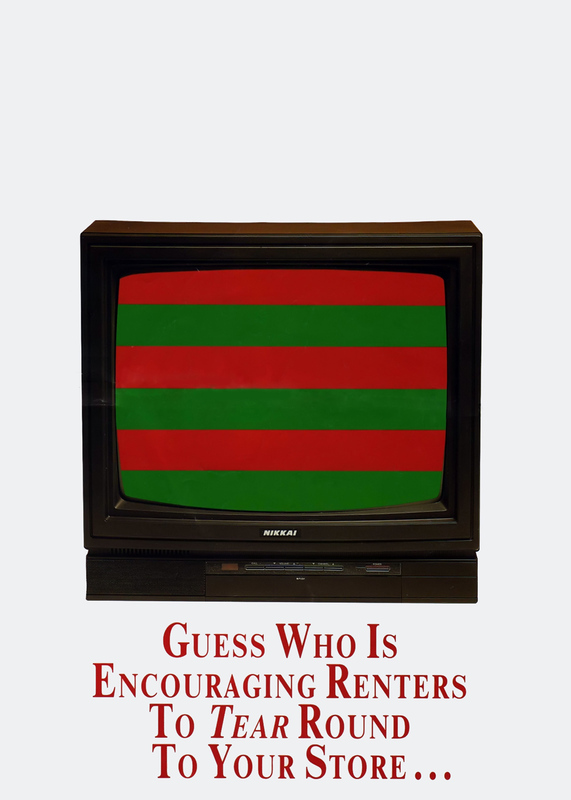 The majority of these releases are in VHS format and are available in several regions. 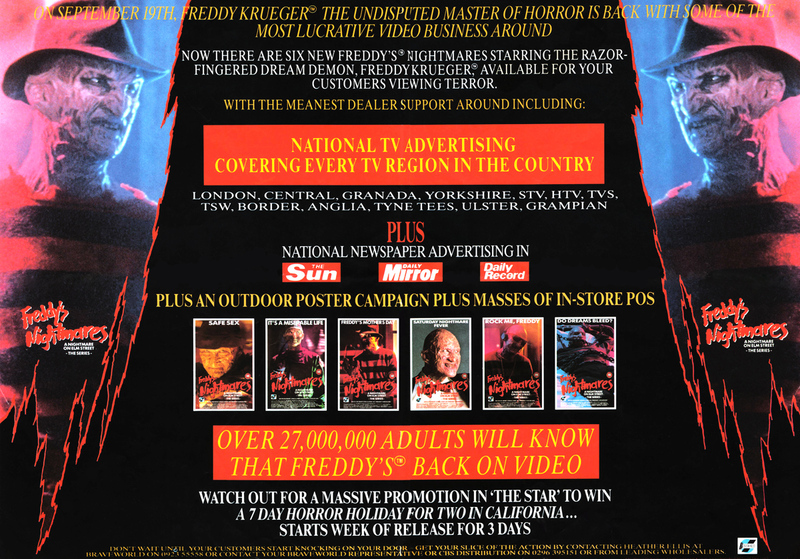 Warner attempted to release the series on DVD in 2003, beginning with the first-three episode sampler Freddy’s Nightmares Volume 1. 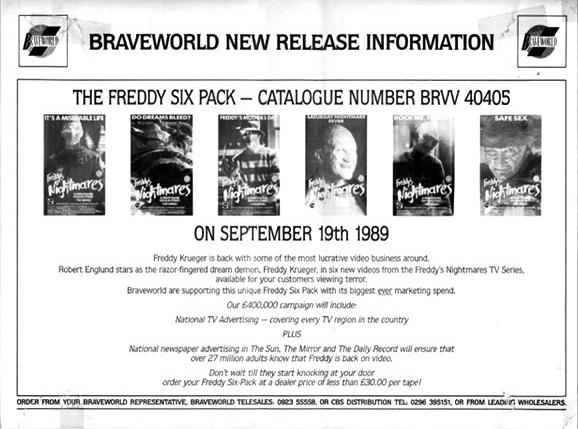 Unfortunately, sales for Volume 1 did not meet Warner’s expectations and they abandoned all subsequent releases.